Go back in time with poodle skirts and ponytails with the fabulous Chrome '57 Band. They will keep your guests rockin’ and a-rollin for your sock hop, 1950's theme party and Back to the Future theme events. The Chrome '57 band plays all of your favorite hits from the 50's including "Shake, Rattle, & Roll", "Rock Around the Clock", "It's My Party", "At The Hop", "Shout", "Hound Dog" and many more. As the night goes on, the band slowly transitions into contemporary hits of today including "Uptown Funk" and more. This high energy band is dressed in classic 50's attire adding the "Wow" factor that will leave your guests wanting more. Click here for: Song List and Audio Samples. The Chrome '57 Band is one of Florida's most versatile, prestigious, and sought after musical groups. Reliable and experienced, Chrome '57 is the ultimate theme party band that keeps your dance floor packed. Based out of Orlando, they specialize in corporate entertainment and charity galas. Performing over 140 events annually, they are proud to be preferred vendors for Walt Disney World, Universal Studios, Disney Cruise Lines aboard the Disney Dream, The Bohemian Hotel at Celebration, The Wyndham Resorts, the Orlando Museum of and many more. 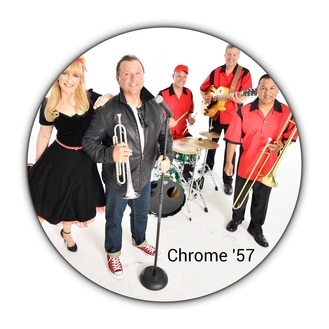 The Chrome '57 Band features band leader, trumpet player, and vocalist Mark Zauss and female vocalist Kathy Zauss along with the Chrome '57 horns, guitar and percussion. Combining creativity with today’s technology and innovation allows our musical groups to have a full and authentic sound true to the original artists. Services include: State of the art sound system, LED stage lighting, specialty lighting with LED laser effects, million dollar liability insurance, microphone for announcements, and Full DJ Services and music between sets. 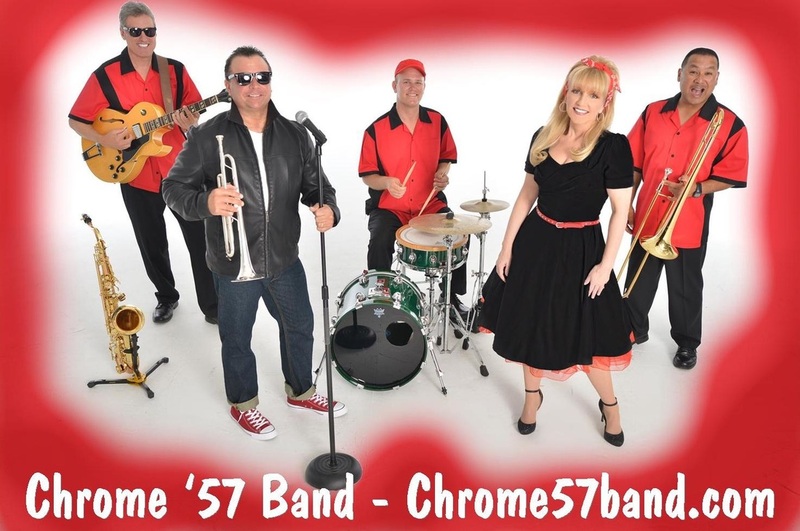 The Chrome '57 Band is a 1950's band Jacksonville, Florida and Oldies band in Jacksonville providing 50's theme entertainment for sock hop theme events. 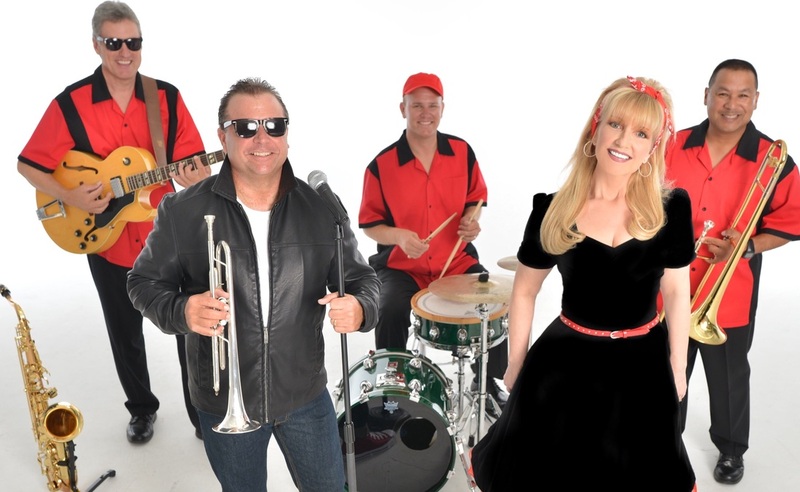 This premier Oldies band in Jacksonville performs Rockabilly, sock hop and provides 1950's theme entertainment. 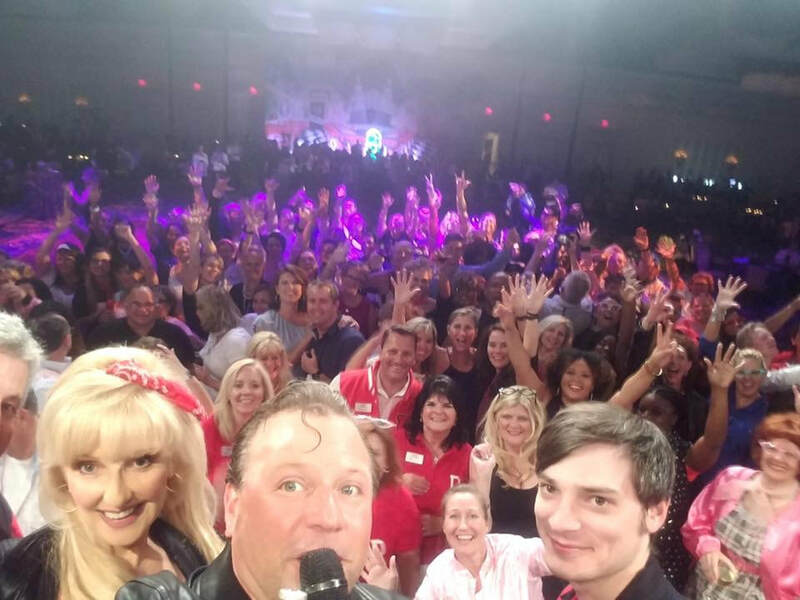 This 50’s band performs in Jacksonville for Grease theme events, sock hop and 1950’s theme party entertainment.